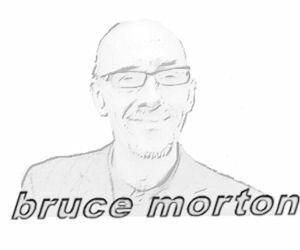 A tribute to the great Scots poets - recorded September 2016 at The Rum Shack, Glasgow. A play I wrote about the weavers' disputes in Paisley in the 19th century. With Neil Leiper, Clare Gray, Khumbo Misanjo, Anna Kiakowski and Big Div. Directed by Philip Differ & yours truly.. Produced by Fair Pley. Performed at Paisley Arts Centre, July 3rd 2016. Davie and Hannah in their cottage in Paisley. A public meeting in Paisley has a very special guest speaker - Frederic Douglass. The foreman Galbraith pays a visit to Hannah and Davie. Davie sneaks out to the factory at night. Davie finishes the shawl and brings it home. A small part in a short film called Hard Debt, made by Fynn Elkington and Stephanie in 2013. 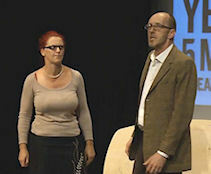 With Karen Fraser in a 5-minute piece written by Andrew Learmonth for the National Theatre of Scotland in the run-up to the Scottish independence referendum of 2014. 1st gig for my band The Roustabouts in February 2015 at The Rum Shack. Gary Cushway, Paul McCole, Karen Fraser and Geoff Harker. At a fundraiser for Miscarriages of Justice Organisation (MOJO). "I got a hole in my pocket and that's alright - I don't have any money anyway"
Fury as the GSR Executive Committee members denounce each other in public. Cammy Sinclair ripping up a GSR gig. The Big El mingles with and surprises the crowd at a southside Glasgow club night. 2013. First Deputy of the GSR, Andrew Learmonth, presents and translates El Presidente's speech. BM faces the excellent Wee D in a comedians v rappers rap battle. Zoomer. The person whose eye you do not want to catch at a party. Return of the Zoomer. As above, but more nutted. 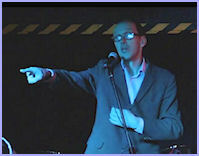 BM with some stand-up rubbish on BBC's "Live Floor Show" in 2004. Short documentary about Amsterdam's coffee shop culture. Tough gig, but someone had to do it. Thanks to a fellow called LeepyLee for putting this old thing on YouTube. The 7 Deadly Sins, interpreted by BM in 1992 on Channel 4 in a show called SiN with Bruce Morton. The picture link goes to an episdoe which is on YouTube. The other episodes of the series are on there somewhere. A telenova and Windows Movie Maker and a slow Wednesday afternoon caused this.